The latest issue of Laguna Beach Magazine is on the stands, and features 10 top wedding venues in our beach community. I’m happy to say I’m on the preferred vendor list at 8 of them! One of my photos, taken at La Casa del Camino, was used on page 4, as well as several others within the text of the article. Laguna Beach has so many beautiful places for a wedding, reception, or party! Take a look … plan a wedding! 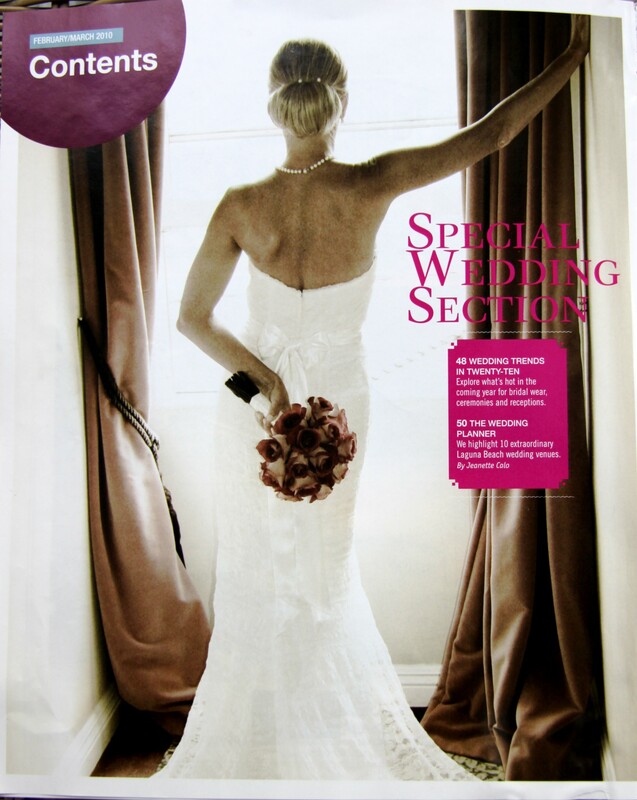 This entry was posted in Uncategorized and tagged la casa del camino, laguna beach magazine, Laguna Beach weddings. ← Dana Point Yacht Club and Marbella Country Club … where to find me.